Roadway and Street Lighting provides visibility at night to alert motorists and pedestrians of hazards. Roadway and Street Lighting helps prevents accidents and provides a feeling of safety and security to pedestrians. For this reason, street lighting is an important component of a city's infrastructure. While the benefits of street lighting are numerous, there are significant costs that go into operating and maintaining street and roadway infrastructure. Each fixture consumes energy and lamps and ballast need to be replaced periodically. 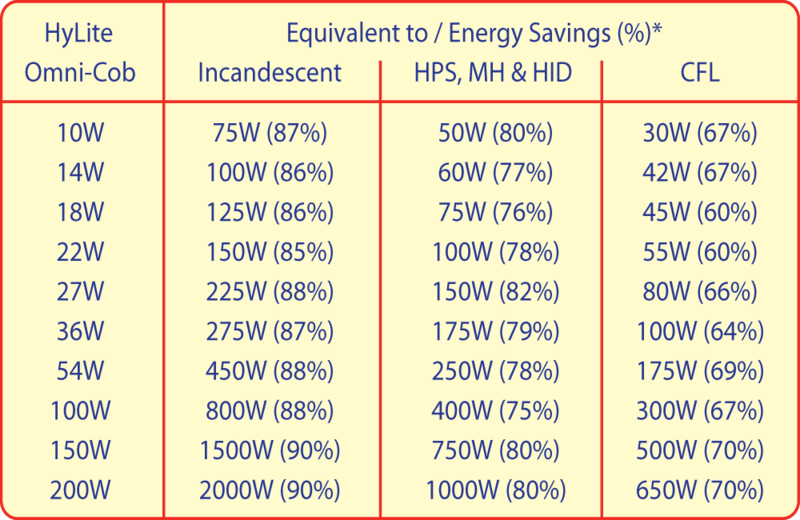 Traditionally, MH & HPS lamps have been used in these applications. 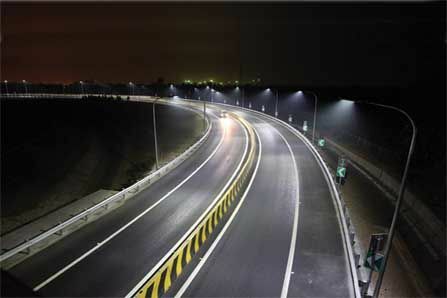 HyLite LED has developed several retrofit LED lamps that lower the operating costs of existing roadway lighting infrastructure. 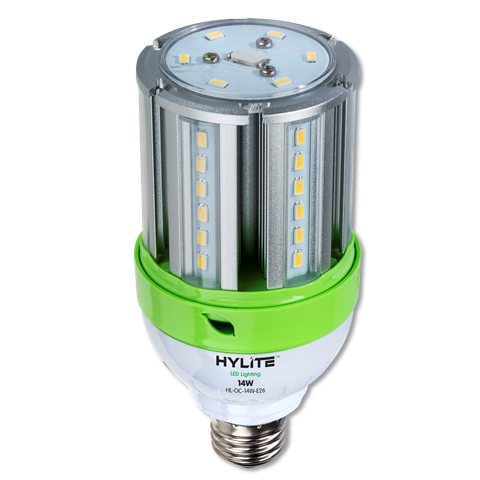 HyLite LED Lamps cut energy consumption by up to 80% compared to MH & HPS lamps while providing 3 to 5 times longer life. With the longer life, cities, municipalities, and utilities can greatly reduce the frequency of lamp replacements which often require shutting down lanes of traffic and costs equipment to reach. To protect the investment in LED lighting, HyLite LED provides a free 20kA surge protection device with each retrofit lamp from 20W and up. The HyLite LED Arc-Cob provides 120° Directional Illumination which makes it an ideal solution for horizontal installation like Cobra Heads & Full-Cut off Post Top lights. 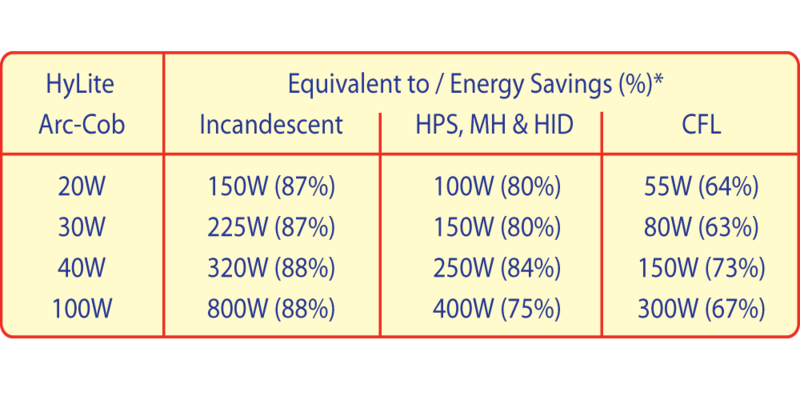 Sizes Up to 100W to replace any MH or HPS street lamp up to 400W. The HyLite LED Omni-Cob lamp offers a 360° Beam angle which makes it an ideal solution for Post-Top & Decorative Light Fixtures. The HyLite LED Omni-Cob is available in sizes to retrofit anything from small, walkways lights to larger roadway decorative light fixtures. 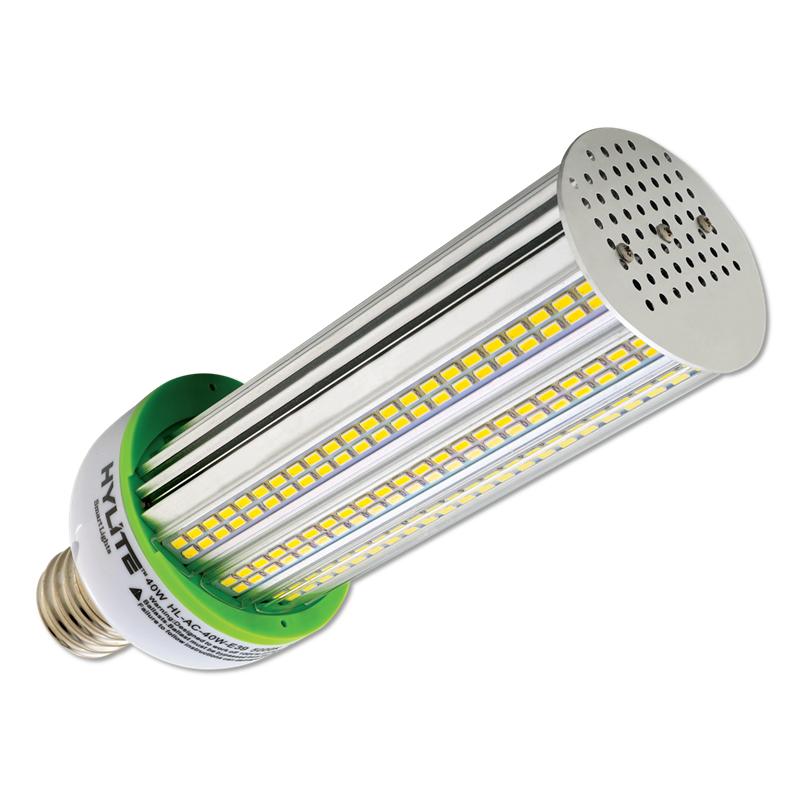 ​More information on the HyLite LED Omni-Cob.